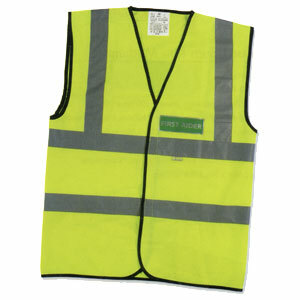 High visibility waistcoat featuring 'First Aider' badging front and back. M, L and XL sizing available. Reflective badging and strip for added visibility.